Lisa Rocks is a certified speech-language pathologist who has been practicing for over 8 years. Her experience is in a variety of settings, including primarily acute care and acute rehab. She recently has been in the school and early intervention settings, working with children 3-5 years of age. 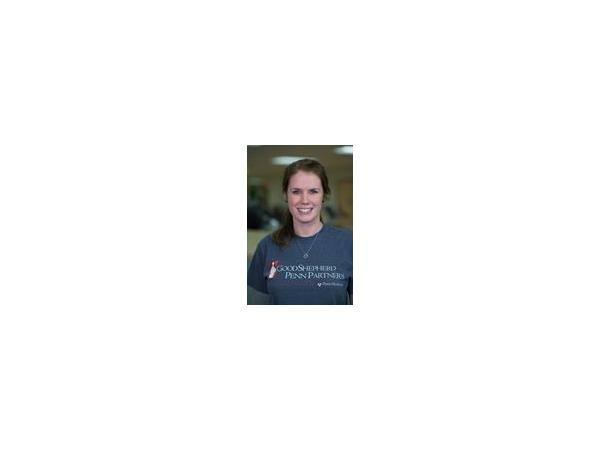 She has worked with both adults and children in the areas of swallowing and language needs. Her specialty is brain injury with a focus on cognition. Molly Brightbill is a certified speech- language pathologist working primarily in the acute inpatient rehab setting at Good Shepherd Penn Partners with 6 years’ experience. She is a certified brain injury specialist, providing evaluation and treatment for speech, language, cognition and swallowing goals in the adult population.